Our standard fully comprehensive insurance will cover for one driver only. However for a small daily charge we can add a second driver to the policy. £5.00 per day of hire plus VAT. You will be liable up to this amount should you return the vehicle to us damaged in any way. However for a small daily charge we can lower the excess from £1200.00 down to £600.00. £10.00 per day of hire plus VAT. No Deposit is taken, but we do pre-authorise a credit/debit card for the insurance excess value. As with most vehicle hire companies, you are liable for the wheels and tyres, and any damage that may be caused, including, punctures, blowouts, and kerbing of the wheels. 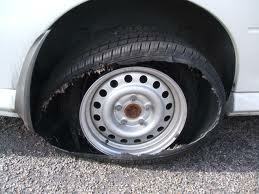 If this is the case, you are liable for having the damaged tyres or wheels replaced before returning the vehicle to us. Commercial vehicle tyres can be up to £130.00 each, and in Spain you may only be able to buy tyres as a pair, therefore, the cost of replacing the tyres in Spain could be as much as 300.00 Euros. For a one-off non-refundable payment, we will cover the wheels and tyres for you, all you need to do is to change the wheel and leave the damaged wheel/tyre in the vehicle. £20.00 over the hire period plus VAT. We are able to offer an accessory pack containing 5x packing blankets and also 5x ratchett straps all supplied in a handy storage box.